32GB built-in storage, up to 64GB with memory card. 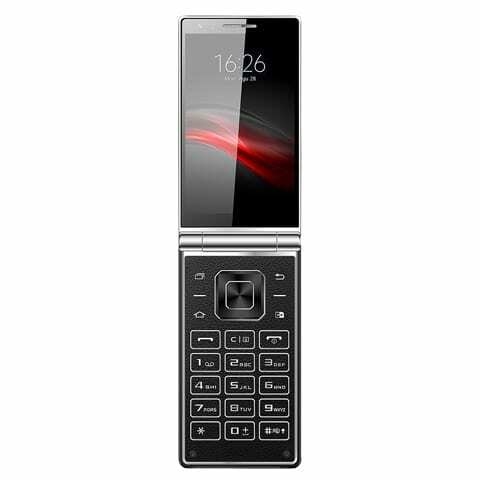 As I said earlier this is a flip smartphone but unlike your other flip phone it has a display at the back with off screen capacitive touch buttons just like your normal touchscreen smartphone. Vkworld T2 Plus has a well built metal and plastic casing with an overall solid ergonomics. There are your normal keypads featured in the conventional flip phone when you open the Vkworld T2 Plus smartphone which is nice touch. The Vkworld T2 Plus comprises of two display, a primary 4.2-inch IPS 768 X 1280 pixel display at the top and exactly the same when you flip it open. They both boast of a 355 ppi pixel density which is impressive. Not much battery capacity is featured on a flip smartphone and not much is really needed. That being said the Vkworld T2 Plus comes with a 2, 500mAh battery capacity which is also removable. So you can decided to get an extra to change with when your battery is low. The camera featured on this smartphone is pretty much mediocre and by that I mean a 13MP rear camera with dual LED flash and a 5MP front camera. With this, pictures taking in full light should be okay while low light pictures can certainly not be counted on. The Vkworld T2 Plus has a somewhat low level hardware here. We’re talking about a Quad-Core MediaTek MT6737 SoC and a 2 core ARM Mali-T720 GPU. This surely guarantees a smooth performance for day to day basic tasks with a few lags here and there. Also, there’s about 3GB internal memory to ensure you get a lot of space for installing apps and multi-tasking with minimal lags. For storage there’s a 32GB ROM with a chance to increase to 64GB using a MicroSD card. The Vkworld T2 Plus boots the recent Android 7.0 Nougat with some little modifications. 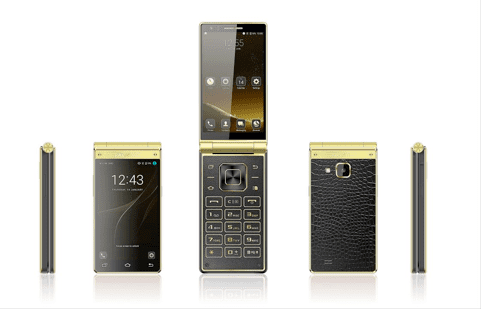 Vkworld T2 Plus is available for sale and cost more than you think an average flip phone will go for. However, the Vkworld T2 Plus is not an average flip phone so you can get it for a price ranging from 75, 000 Naira to 89, 000 Naira.